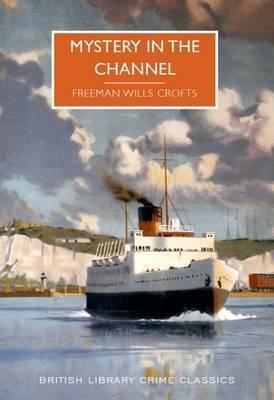 Mystery in the Channel is a classic crime novel with a strikingly modern sub-text. The story begins with a shocking discovery. The captain of the Newhaven to Dieppe steamer spots a small pleasure yacht lying motionless in the water, and on closer inspection, sees a body lying on the deck. When members of his crew go aboard the yacht, they find not one male corpse but two. Both men have been shot, but there is no sign of either the murderer or the pistol. The dead men, it quickly emerges, were called Moxon and Deeping, and they were chairman and vice-chairman respectively of the firm of Moxon General Securities, one of the largest financial houses in the country. Inspector Joseph French of Scotland Yard is called in, reporting directly to the Assistant Commissioner, Sir Mortimer Ellison. French soon discovers that Moxon's is on the brink of collapse. One and a half million pounds have gone missing, and so has one of the partners in the business. Moxon and Deeping seem to have been fleeing the country with their ill-gotten gains, but who killed them, and how?French faces one of the toughest challenges of his career, and in a dramatic climax, risks his life in a desperate attempt to ensure that justice is done.